The game-changing book defining Social Health in modern society and the workplace, as the struggle to cope in the ‘always on’ world intensifies. Something is missing. That something, Julia Hobsbawm argues in this ground-breaking book, is Social Health, a new blueprint for modern connectedness. She begins with the premise that much of what we think about healthy ways to live have not been updated any more than have most post-war modern institutions, which are themselves also struggling in the twenty-first century. In 1946, the World Health Organization defined ‘health’ as ‘a state of complete physical, mental and social wellbeing and not merely the absence of disease or infirmity.’ What we understood by 'social' in the middle of the last century now desperately needs an update. 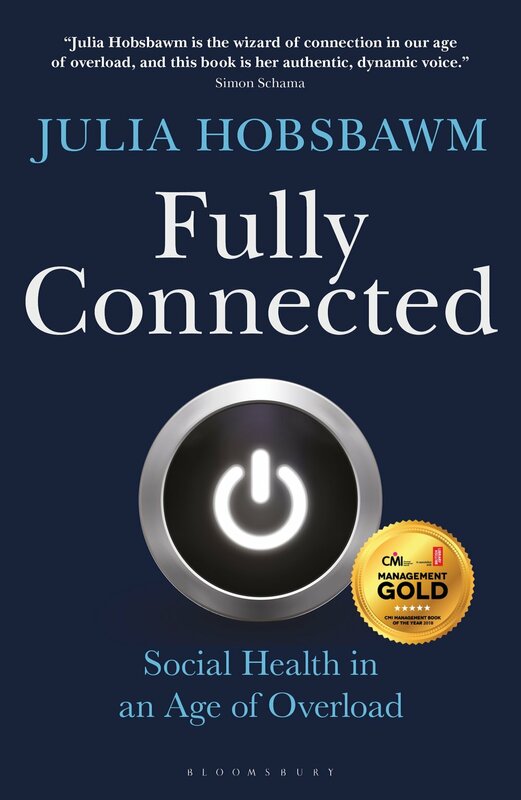 In Fully Connected Julia Hobsbawm takes us on a journey - often a personal one, 'from Telex to Twitter' – to illustrate how the answer to the Age of Overload can come from devising management-based systems which are both highly practical and yet intuitive, and which draw inspiration from the huge advances the world has made in tackling other kinds of health, specifically nutrition, exercise, and mental well-being. Hobsbawm’s Fully Connected has touched a nerve. Since hardback publication in 2017 she has given 100 keynotes and talks around the world about Social Health. She is inspiring a new generation of managers and policymakers as well as all of us ordinary working professionals desperate for some navigation. The paperback contains new updated material and will bring her message to a mainstream audience. Julia founded the pioneering knowledge networking firm Editorial Intelligence in 2005. She holds Honorary Visiting Professorships at London's Cass Business School and the University of Suffolk and has recently joined the board of Kronos' new European Workforce Institute. She was awarded an OBE in the Queen's Birthday Honours list in 2015.